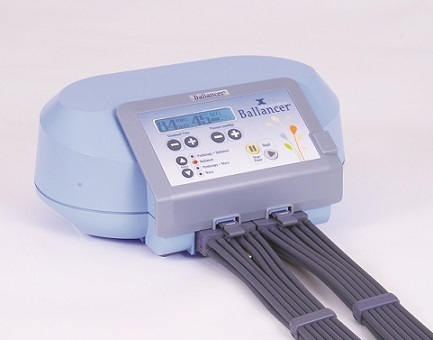 Since 1995 Ballancer Systems have introduced a revolution in the Aesthetic Lymphatic Drainage. Ballancer Systems represented by P-MediCyp Ltd have been proved clinically and scientifically to be efficient in performing full corporal body massage and Aesthetic Lymphatic Drainage for aesthetic-medical treatments. Mego Afek from Israel, represented by P-MediCyp Ltd in Cyprus, has more than 30 years of experience treating patients with it's famous medical line of products "Lympha Press". All this experience is now implemented in Ballancer. With the regular use of the Ballancer 505 Aesthetic system , you will be able to avoid the development of Cellulite, to stop the accumulation of Cellulite, to treat Varicose veins, to shape the legs, abdomen, buttocks and arms, to strengthen loose skin ( that is the result of pregnanacy or obesity), to gain an immediate relief for "heavy legs" and to speed recovery of skin after Liposuction. What are the expected results during and after a typical Ballancer 505 traetment course? ♦ Prevention and elimination of Cellulite. ♦ Volume reduction of legs, abdomen and buttocks. ♦ Prevention and sometimes elimination of light varicose. ♦ Firming, rejuvenating and toning of skin. ♦ Well being, healthy feeling, restored energy. New Ballancer 505- 3 aesthetic treatment cycles ! Great value for price ! Newest in the Ballancer family- based on the reliable technology of the famous Lympha Press brand features exclusive Pretherapy treatment cycle. Ballancer 505 Pretherapy treatment is a gentle massaging of Proximal lymphatics, with the purpose of "opening the way" for the transit of lymph liquids during the following cycle of the treatment. Wave cycle- long, deep and slow peristaltic squeeze. Ballancer cycle- short, superficial and fast peristaltic caresses. How does Ballancer 505 Aesthetic device for cellulite, slimimg, firming of skin and healthy feeling, can affect your body? Ballancer peristaltic corporal massage will act as an "external" heart . It will enhance blood circulation by gently applying undirectional peristaltic pressure on peripheral veins. Blood circulation will be improved, the elimination of toxins is facilitated and MORE fresh oxygen reaches skin cells. Ballancer will compress and massage the abdomen. The result is relaxation of the abdominal muscles and at the same time a healthy stimulation of the bowl movements for more efficient evacuation of poisonous content. Lymphatic flow is enhanced. Lymph flow is improved, both in the peripheral and deep lymph nets. The result is the evacuation of metabolic residuals from the interstitial spaces. The immunological system is benefited as well. Ballancer massages the muscles. The peristaltic movement relaxes the muscle, drains it from excessive liquids that are a product of the muscle effort, thus calming muscle spasms. Ballancer massage will allow open flow of freshly oxygenated blood to the skin layers. Skin will look better. feel better, will regain it's tonus and will be firmer- visually and physically. Our Ballancer 505 and the garment ,are made for treating beauty clinics clients, as well as for personal home use. Special design attention has been given to the ease of use and the clinet's comfort. If treatments are performed regualrly, cellulite will be prevented and even eliminated. A 24 air cell compression suits that will treat either lower body parts ( Ballancer Pro Pants)- from feet toes to just under the diaphragm area, or upper body parts ( Ballancer Pro Jacket)- from hands to just under the diaphragm area, including chest area, shoulders and back. ♦ Every single sq. cm of skin is treated equally. Same pressure treatment pace all over. ♦ Flow of blood and lymph liquids are guaranteed to be in the right direction (towrads the heart). ♦ Makes it easier to help the client get in the pants ( less than a minute), as well as helping the client out of the pants. ♦ Suits will fit clients ( sizes S, M, L). ♦ Specifically designed stress removing zippers areas. ♦ 4 air connectors for easy connecting and disconnecting of air hoses. Ballancer 505 is based on Lympha Press Optimal device that is being used only in the medical field. It offers the best possible way of lymph drainage, the highest quality imnthe world and simplicity of use. Lympha Press is the only system in the world that treats the entire body, including arms, legs, chest, back, groing and abdomen. Made by Mega Afek from Israel and represented by P-MediCyp Ltd from Cyprus. For a short video of the Ballancer device 505 and special garment for treating beauty clinics clients, as well for a personal home use , that enhances blood circulation, prevents the development and halts the accumulation of cellulite, that strengthens loose skin after preganacy or loss of weight, that speeds skin recovery after Liposuction and that relaxes the all body, press here. Ballancer Pro Pant is a 24 air compression suit that will treat the lower body parts, from feet toes to just under the diaphragm area. With Ballancer Pro Pants, every single sq. cm of skin is treated equally. Same pressure and treatment pace all over. Using Ballancer Pro Pants will make it easier helping the client get into the pants (less than a minute), as well as helping the client out of the pants. The Ballancer Pro suit will fit most clients (sizes s,m,l). Specially designed stress removing zippers at critical areas. Includes 4 air conncetors for easy connecting and disconnecting of air hoses. The Ballancer Pro Pants was designed in conjunction with leading manual lymph drainage therapists. It will treat the entire lower body, including the abdomen, groin and buttocks. Order now, the best torso treatment based on the principles of manual lymph drainage and watch the difference !